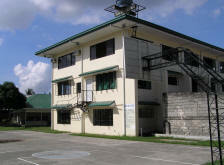 Oro Bible College is an Advent Christian Theological Institution founded in 1971. 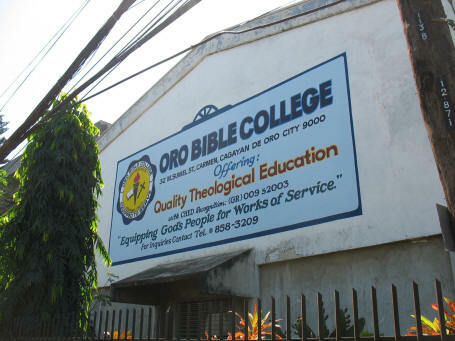 Oro Bible College offers theological education that demonstrates spiritual character formation through discipleship and mentoring. The entire OBC program reflects a creative adaptation of traditional and updated training patterns for the specific purpose of preparing students for effective ministry performance and leadership. OBC seeks to develop students spiritually, intellectually, socially and morally by equipping them with the foundational knowledge of God’s Word, teaching them the Christian values and ministry skills needed to fulfill the Great Commission and deepen commitment for fulltime ministry, church service and leadership. Classes are held Mondays to Fridays beginning with spiritual life formation programs and activities. Classes are from 9:00 to 12:00; 2:00 to 5:00; 6:00- 8:00. Field Education programs and activities are done on the weekends. Students go out to do community extension activies teaching kids, feeding and tutorial. Upperclass students go to local churches to lead worhship, teach Sunday school, preach, counsel and assist pastors in the ministry. The degree is four years. It consist of 7 semesters of academic requirements and one semester of internship. Students do their internships at churches that call for an intern or in para-church ministries. All teaching faculty of the college are full fledge masters in their specific field and are experienced in church ministry. All faculty and staff are also involved in ministry while working at OBC. The focus of the Field Education program of OBC is Evangelism Church Planting and Missions. OBC goal is that each student will be able to plant a church before graduation. OBC graduates are working in BPACCI churches, Non-BPACCI churches, para-church ministries and others are in the government and private sector service, but are still leaders in their own churches. 1st Year and 4th Year students bringing the gospel to the Buena Oro section of Cagayan de Oro City, with the goal of starting churches. 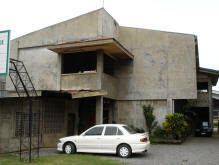 We will send your donation directly to the Oro Bible College in Cagayan de Oro.